Pern is still trying to recover from a deadly plague that devastated the holders and craftsmen, not even 15 turns (years) before. Although the dragonsriders and weyrfolk were spared from the devastation of that plague, they are about to be tested with a deadly illness that afflicts the dragons. Fiona of Fort Weyr, the only surviving child of Lord Holder Bemin of Fort Hold, is thrust into this situation when she accidentally impresses Gold Talenth. 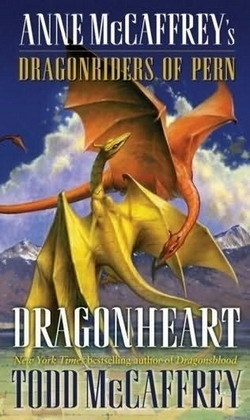 As first fire-lizards, and then dragons, fall prey to the mysterious illness, Fiona and all of Pern must face the possibility of no dragons being left to fight thread as it begins to fall once more. The number of casualties mount as both the illness and thread take dragons and their riders. In an attempt to save the Weyrs, Fiona and a mysterious rider, lead the injured and weyrlings back in time. The question now is, will that be enough to help?